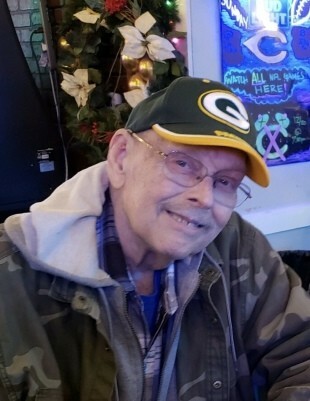 Donald J. Madsen, 74 of Lindenhurst passed away on Monday, February 5, 2019 surrounded by his loving family. He was born on July 29, 1944 to the late Carl and Lucille (Peterson) Madsen in Stevens Point, WI. He joined the U.S. Army in 1965 and served in Vietnam until 1967. On October 17, 1970 he married the former Florine Jaworski in Waukegan, IL. He enjoyed hunting and car shows, but his favorite time was spent with friends and family, especially his grandchildren. Donald is survived by his wife Florine, his son Christopher (Elizabeth) Madsen, his daughter Mechelle (Jesse) Hall, his grandchildren, Hailey Hall, Anthony Hall, Rylie Hall, Briggs Madsen, Jesse Hall, Jr., Drake Madsen and Trace Madsen, his sister Susan Martin and his brother Kenneth (Sue) Madsen. Visitation will be from 4:00-8:00 P.M. on Monday, February 11, 2019 at Warren Funeral Home located at 1475 N. Cemetery Rd. Gurnee, IL. A funeral lunch will be on Tuesday at 1:00 P.M. at Saluto’s located at 7680 Grand Ave. Gurnee, IL.